This recipe has failed, read why here. Following with my recent experiments in Rhums Arrangés, I wanted to try a combination that I saw a few months ago produced by Cédric Brément: the rum called Punch Au Rhum Banane Cacao. 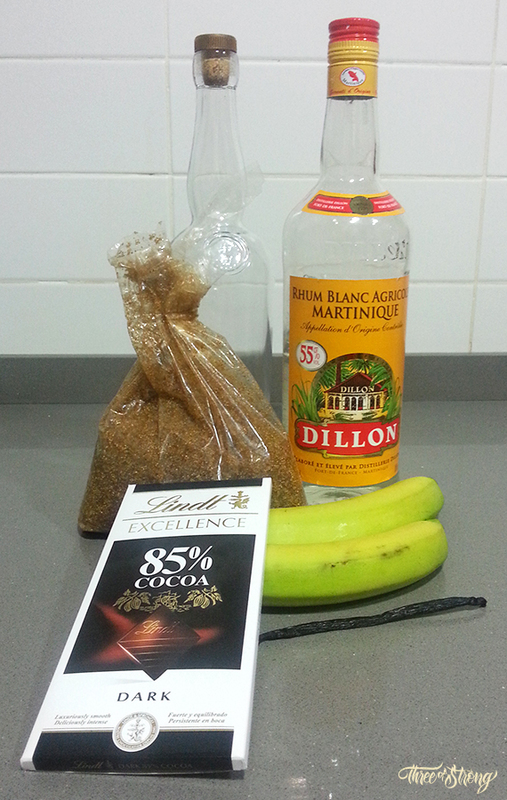 Thinking about it, I remembered an infused rum that I did a few years ago with a recipe extracted from the Beachbum Berry Remixed called Chocolate & Vanilla Infused Rum, and I thought that it could be great adding the banana…and yes, I’ve tried it!!!! 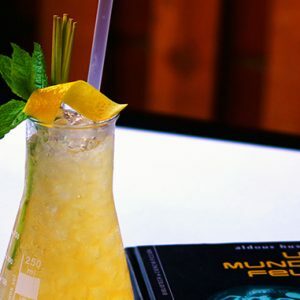 The rum used was a Rhum Agricole of Martinique Dillon with 55% of alcohol. After putting all the ingredients in the bottle I think I’ll have to wait about 3-4 months and let the elements make their work inside the bottle, the periodic tasting of the rum will decide when it will be ready. Peel and cut the bananas in strips that can enter inside the rum bottle. Make a cut longwise the vanilla bean. Break the chocolate bar in small pieces. Add the bananas, vanilla bean, sugar and chocolate inside the bottle. Let it rest in a dry place without direct sunlight for about 3-4 months, shaking it often. What kind of Coruba did you use? How many time you let it infuse? Did you strain the infused elements when the determined time of infusion finishes? 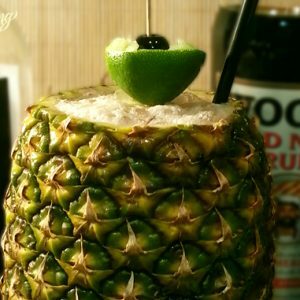 Another great looking rhum arrange’ Oriol! I wonder if adding some banana peel could add a deeper banana flavor without it being too much if the banana flavor may subside? but one must be careful with banana peels….make sure they are 100% organic. Mmm I have to think how could work the banana peel…maybe on the next experiment I could try it. 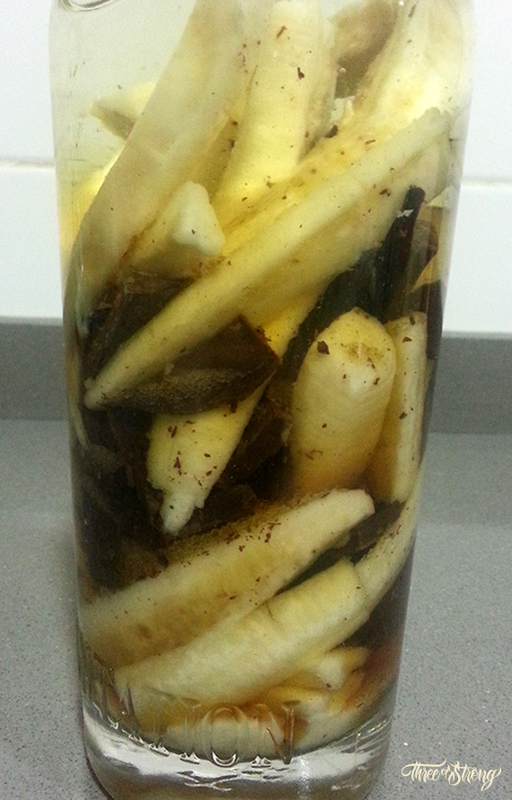 When I made banana syrup I used the banana peels for increase the flavor. 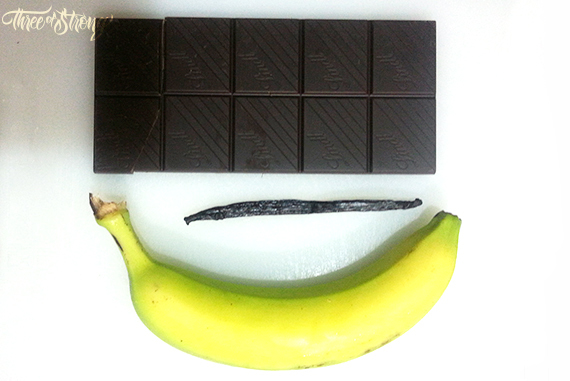 Pingback:	Why my rhum arrangé banana, chocolate and vanilla has failed? Aloha! 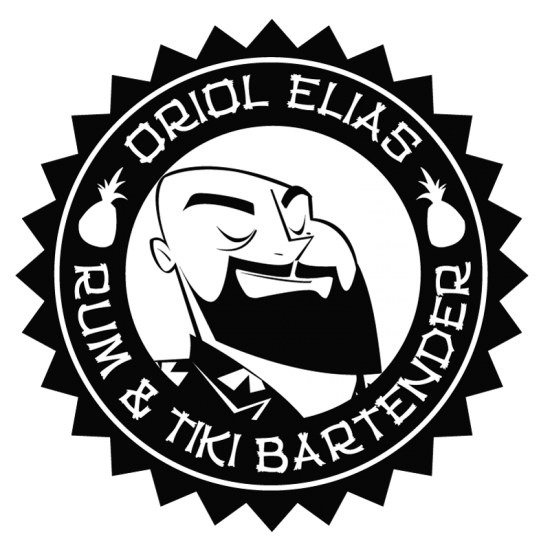 I am a Rum and Tiki Bartender travelling the world "Spreading the word of tiki". © Oriol Elias, 2019 – Queda totalmente prohibida la reproducción total o parcial de esta página web y sus contenidos sin el consentimiento del autor.